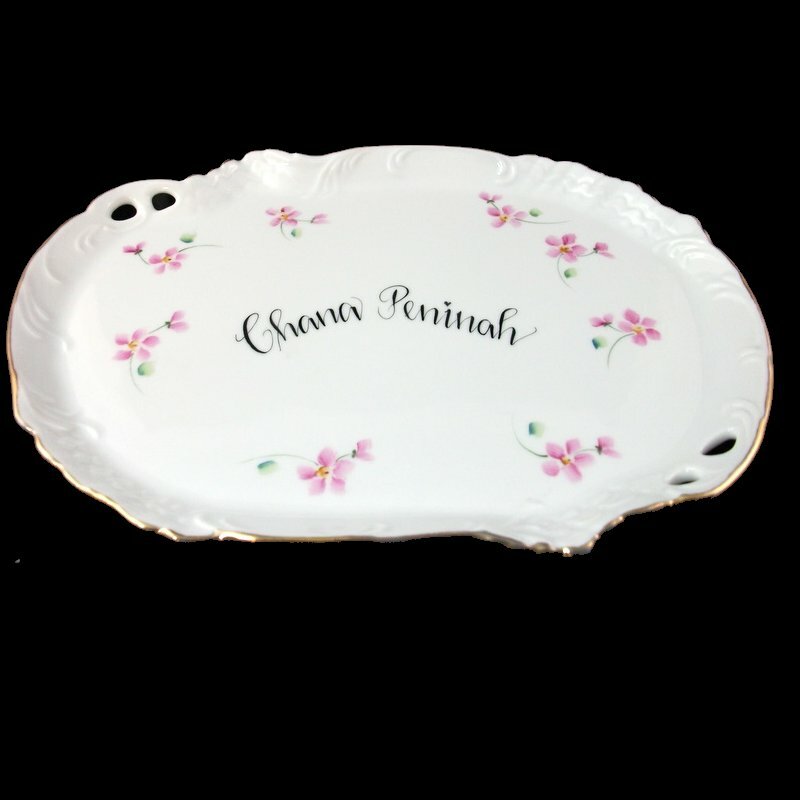 Our beautiful�porcelain hand painted scrolled oval dresser tray is trimmed in 18 karat gold and makes a unique special occasion gift.� We hand paint this porcelain gold trimmed vanity tray with a name in English, Hebrew or both along with your choice of design.� We can personalize a short personal message on the back. For example, "Mazel Tov on this special occasion.� Love, Jackie. "� A gift box with tulle ribbon and enclosure card is complimentary with your purchase.